Starting April of this year, 2018, those who are on Medicare will receive a new Medicare card. 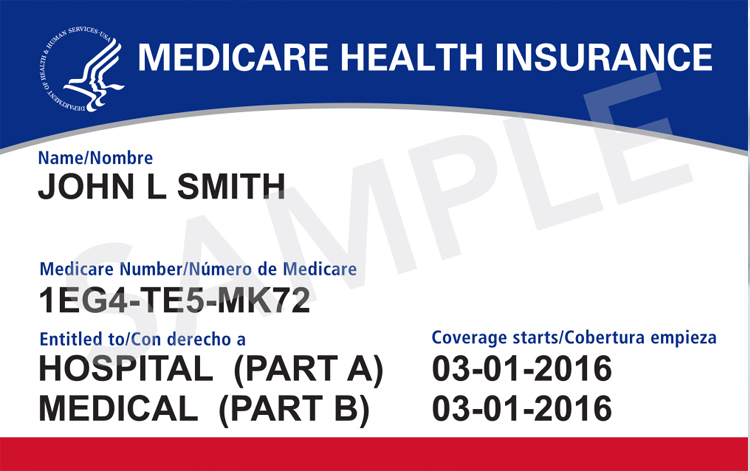 The new Medicare card is designed to help improve your security and protect your identity. Therefore, your new cards will include a Medicare number (that is unique to you). Also, all your benefits and coverage will stay the same. In addition, another change you will see on the new cards is the removal of your social security number. This is one more way the government is trying to keep your personal information private and harder for scammers to get a hold of. This is the best part. You don’t have to do anything! Medicare will automatically send out new cards to the addresses they have on file with Social Security. What to do after you get your new Medicare Card. 1) Destroy your old card immediately. Guard your Medicare number. Treat it as you would a credit card. • Do not give your personal information (this includes your Medicare number) to people contacting you by phone, email or by approaching you in person, unless you’ve given them permission in advance. • Hang up the phone if someone calls and asks for your Medicare number, Social Security number, or bank or credit card information. Legitimate sources will NEVER call and ask for this information. They will also NEVER call/visit uninvited to sell Medicare products. • Do not accept free gifts in exchange for your Medicare number. • Anyone asking to pay for or borrow your Medicare ID is not genuine. • Do not let anyone rush you into enrolling. There are no “early bird” deals or “special offers”. Report any suspicious activity to 1-800-MEDICARE (1-800-633-4227). To learn more about how to protect yourself from health care fraud, visit Medicare.gov or contact your local Senior Medicare Patrol (SMP). In conclusion, help your friends and neighbors protect their Medicare numbers too! Use these tips to share with them and to help educate more people on Medicare fraud.